THE steamer Lady Wakefield chugs down the lake with its cargo of day-trippers. This is the way to embark on a walk. Throb-throb of engines; white light shimmering on water; the scent of fresh-cut hay and its reminders of childhood; a voyage into the sun . . .
There’s a pre-First World War atmosphere, a sense of being in an age when Britain thought it knew its place. And in order to indulge in this celebration of misplaced nostalgia, I’m sporting a collarless shirt and my gentleman’s wide-brimmed straw hat. 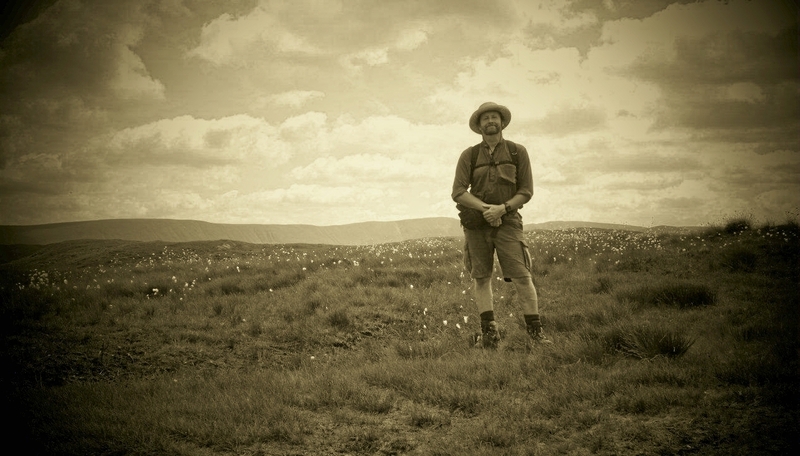 Before leaving home I actually considered wearing a white linen suit for my steamer trip and stroll on the fells, in imitation of Alan Bates in one of those DH Lawrence film adaptations from the 1960s. But I settled for a compromise, which seemed a shade more practical if not as authentic. I also cancelled the night-school class in naked Turkish wrestling. 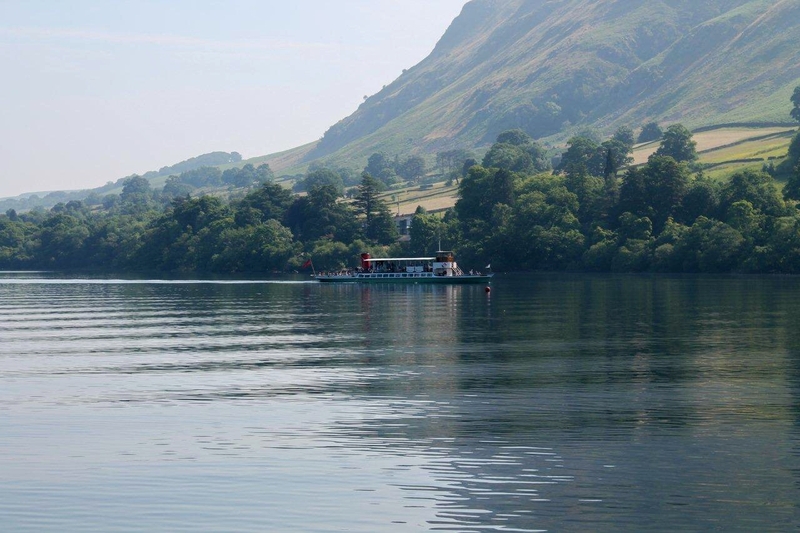 Upon landing at Glenridding I clump along the pier, unaware at this juncture that today is about to become one of the hottest days of the year. Ditching the white linen suit turns out to be one of my better decisions. 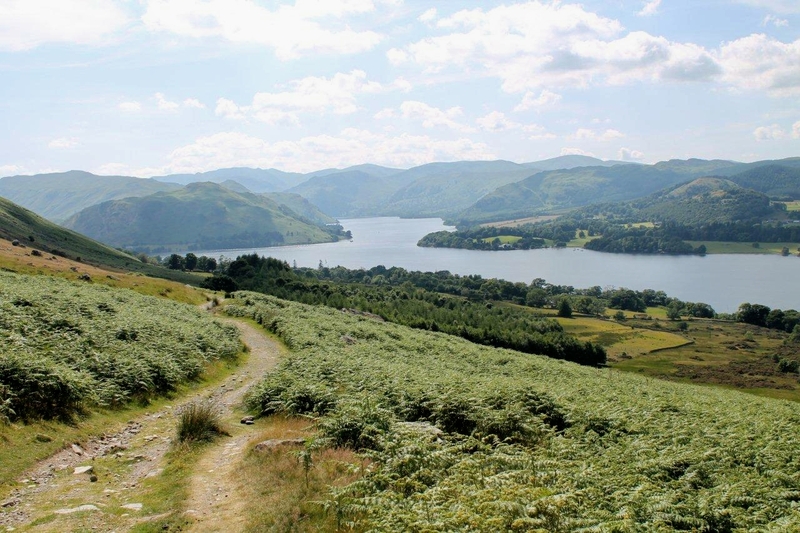 Setting out to climb Place Fell (657m, 2,155ft, and pictured below) in uncompromising heat and tramping back to Pooley Bridge across high ground does not fall into the same category. But life’s a struggle anyway. Hey, let me tell you this before we get going. Pooley Bridge is a village that’s been taken over by two-hour-limit parking bays and glaring yellow lines. The main car parks are run by the Lake District National Park and cost you £7 (euro 8.09, $10.57 or 60.37 Danish krone) to leave a car for the day while you’re up on the fells. Scandalous or what? A TUC report just published states that four in every five jobs created in the past year fall in the low-paid retail and care-home sectors, where the average wage is just over £8 an hour. 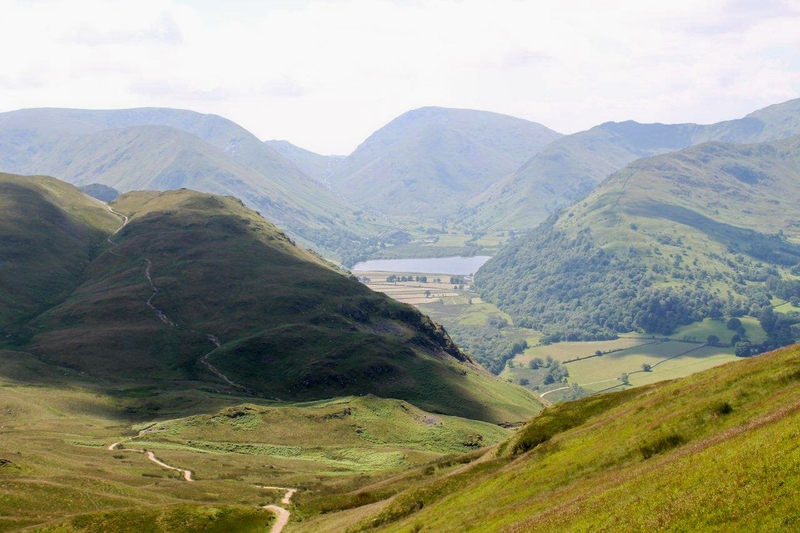 So never mind the expense of taking your family on holiday, if those workers fancy a cheap day on the fells to enjoy the beauty of Lakeland and introduce their children to the wonders of nature, they have to toil for the best part of an hour just to cover the parking fees. 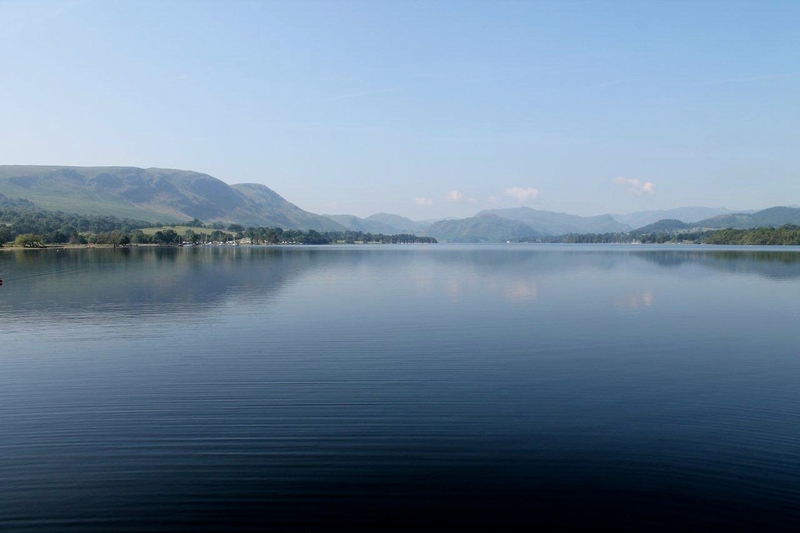 Is this another indication that the Lake District is becoming the preserve of the affluent, a place where traditional visitors from the northern conurbations – with their boots and rucksacks – are being edged out by prohibitive prices? 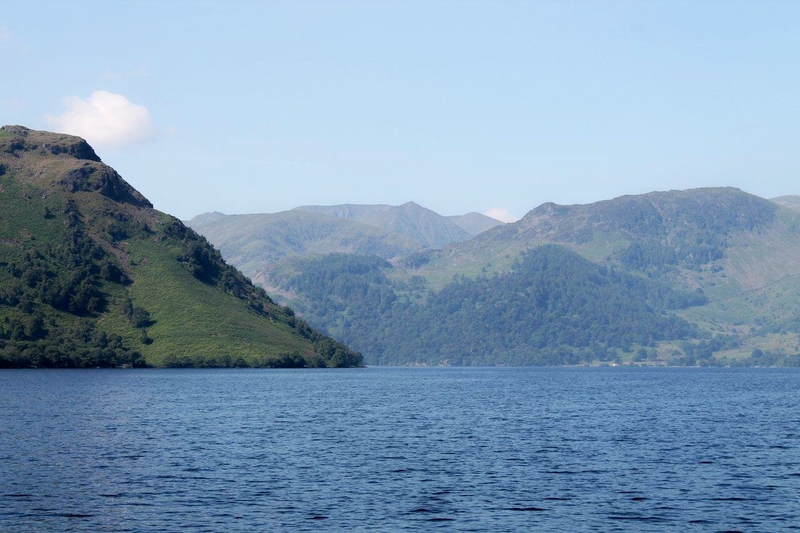 Is it yet more evidence that in Britain, unlike in other countries, national parks have been hijacked by a burgeoning tourist industry and its commercial interests? Determined not to pay a £7 parking fee in Pooley Bridge, I got there early and bagged one of the very few free parking spaces in the centre of the village. I’m not tight, but neither am I prepared to surrender £7 of hard-earned cash to an organisation that boasts on its website that it’s introducing number-plate recognition cameras to enforce “strict and timed enforcement procedures”. Sod the lot of them. Jesus Christ. 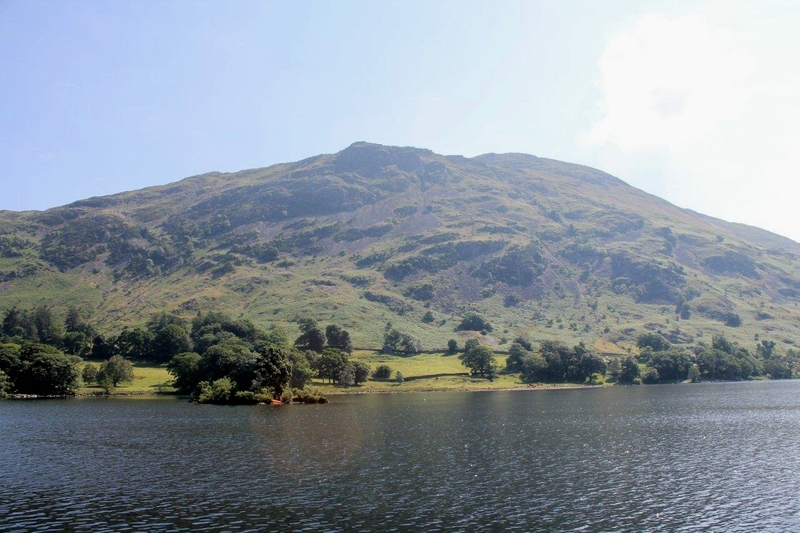 This is Wordsworth’s Lakeland, not Heathrow bloody Airport. What planet are these people on? And what are national parks for? To protect a unique and irreplaceable environment or to generate money? Philistines. And here’s another thing that puts the situation into perspective. 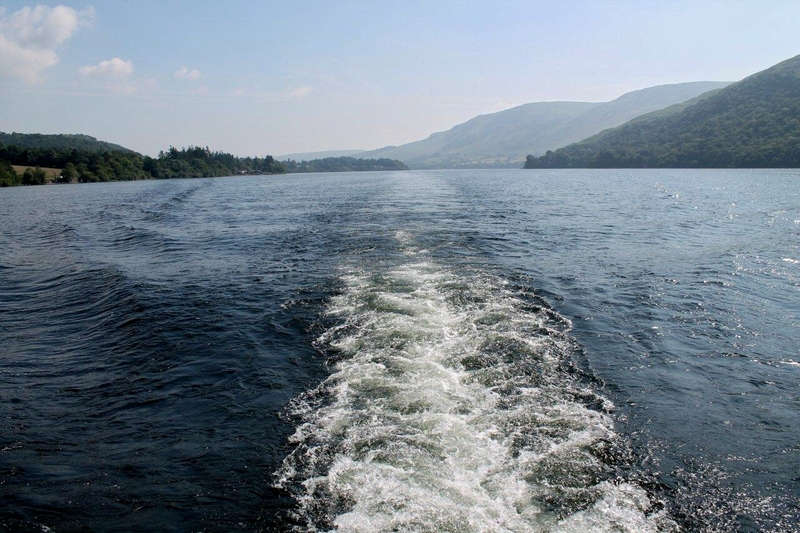 The fare from Pooley Bridge to Glenridding on the steamer – an extremely pleasant voyage – is £7.92. So that’s £7.92 for a boat trip, and £7 to park a car. Eh? Which is good value for money and which isn’t? Give us a break. Ascending Place Fell from Patterdale I pass two elderly gentlemen who look as though they are about to keel over in the heat. No kidding. The first is sitting on a rock mopping his brow on the initial climb above the farm at Rooking; the second has slowed almost to a halt on the final zigzags to the summit. Me, I’m absolutely dripping wet and my collarless shirt could do with wringing out. The wide-brimmed straw hat is proving to be invaluable. I can see where those Mexicans are coming from. But I’m not going to dance on mine, amigos. 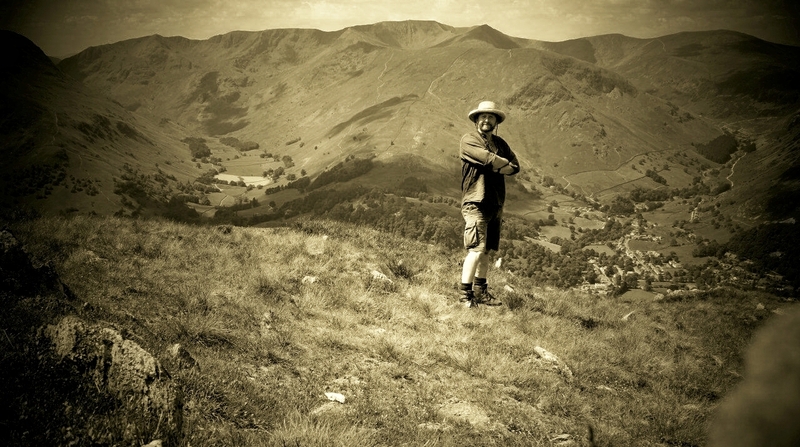 It’s years since I’ve climbed Place Fell – in fact, the last time was back in the 1970s. On that occasion we dropped straight down the front – Mike Coward and I – then raced to the Traveller’s Rest for several pints of cool beer and slept it off on the campsite. Those were the days, my friend. I thought they’d never end. 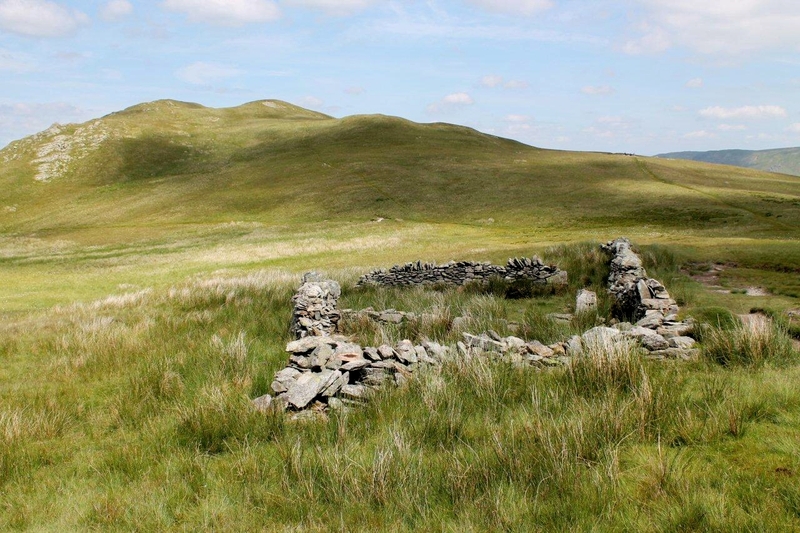 Today, from the summit, I head north over High Dodd and Sleet Fell then drop down a steep grassy bank to Sandwick where the air is hot and still. Tarmac is melting on the road in Martindale. Sheep shelter beneath shady trees near the church. The only sound is the buzz of bees. 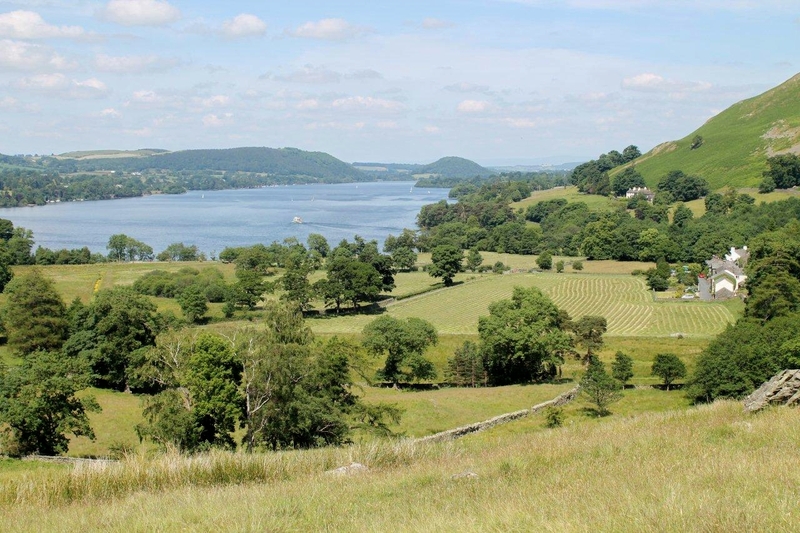 The plan is to cross the valley where the hamlet of Howtown nestles among fields of new-mown hay, climb 350 metres (1,150ft) up the front of Loadpot Hill with the afternoon sun burning my back, and continue the high-level walk towards Pooley Bridge. I raise my eyes – squinting through stinging sweat – to the steep bracken slope soaring towards scattered crags high above me, and the plan alters. There is no way on this earth I’m even going to attempt Loadpot Hill in this heat. 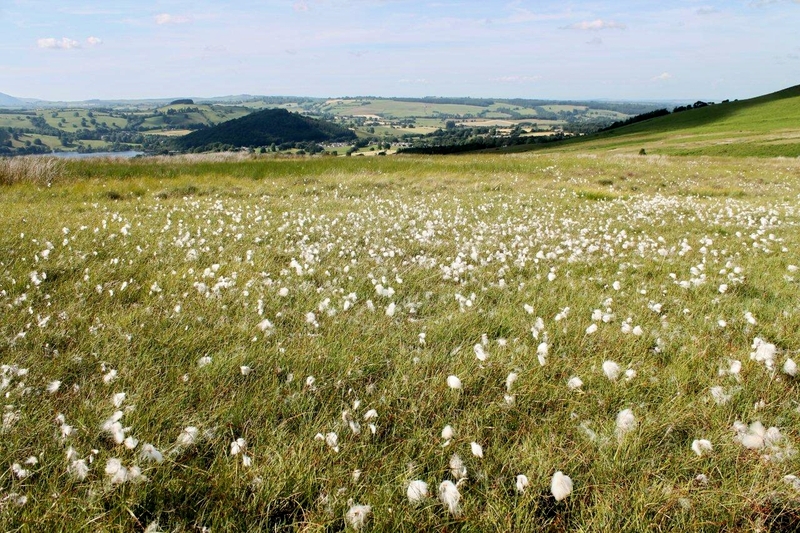 So I crack open a third bottle of water and take a path that skirts along the ridge beneath the rough ground, following a wall marking the upper limit of the intak fields. Another wise decision, it transpires. Those Edwardians had it easy. Gentle strolls in an afternoon sun; cool beers in a wayside tavern where a subservient publican calls you Sir; a glance at the Times to see where the Kaiser’s holidaying; a spot of naked Turkish wrestling on the Axminster in front of the fire. But I don’t think it was like that all the time. 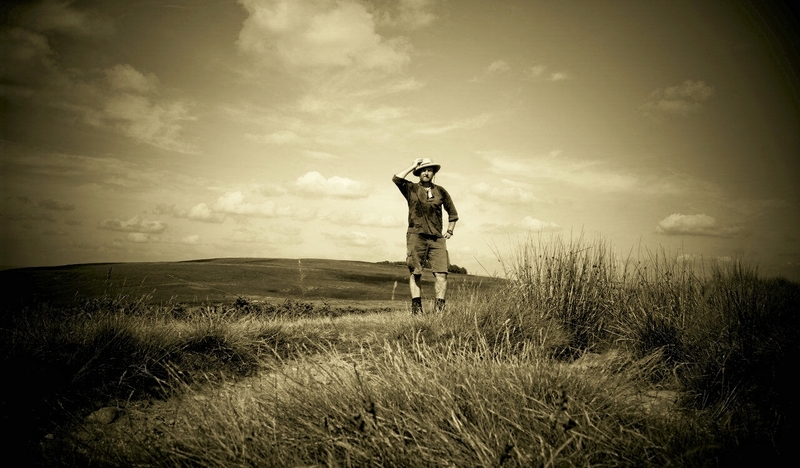 My Edwardian reality is a shirt so wet it would shuffle shamefully into a corner and beg to be shot if I threw it to the ground; a wide-brimmed hat that’s stained and frayed; and toes that turn up with cramp when I remove my boots in the centre of a hot, sticky and bustling Pooley Bridge. No one calls you Sir in Pooley Bridge, by the way. Still, at least I saved £7 on the parking. That’s a year’s wages in Edwardian times. 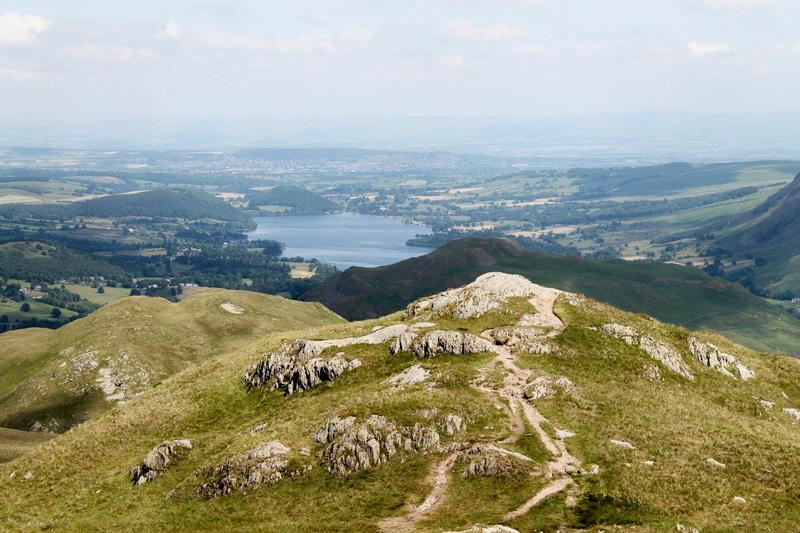 This entry was posted in Camping, Climbing, Environment, Hiking, History, Life, Mountains, Ranting, Walking, William Wordsworth and tagged Lake District, outdoors, The Lakes, transportation, WPLongform. Bookmark the permalink. 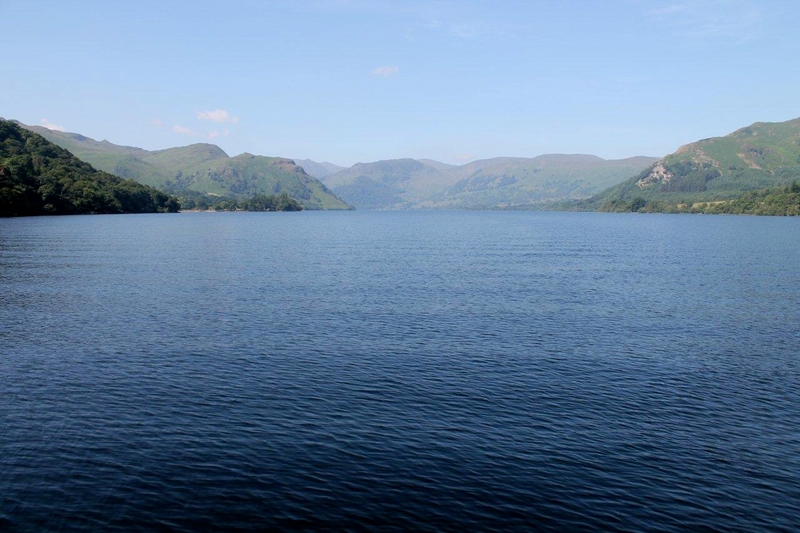 I love the boat trips on Ullswater, they’re the perfect antidote to the rush and bother of normal life. 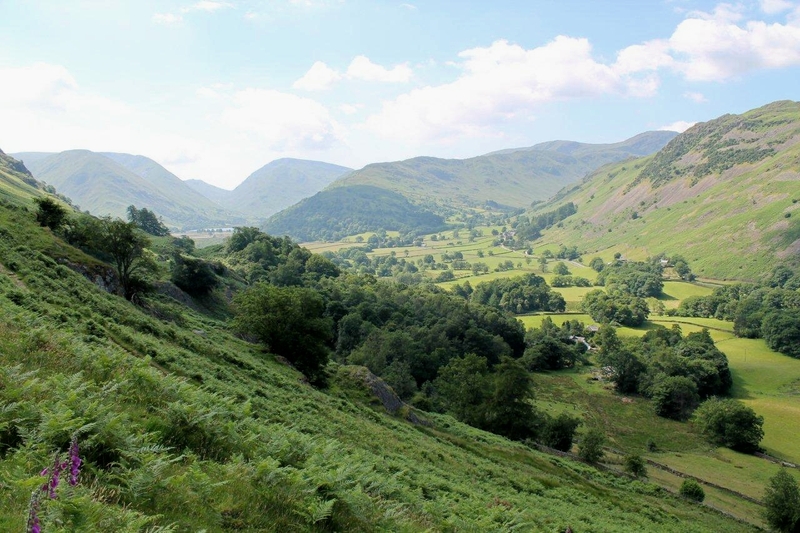 I think if I was going up Place Fell from Patterdale on the hottest day of the year and trying to capture some of that Edwardian spirit I would probably have hired several valets to carry me up there on a chaise longue. 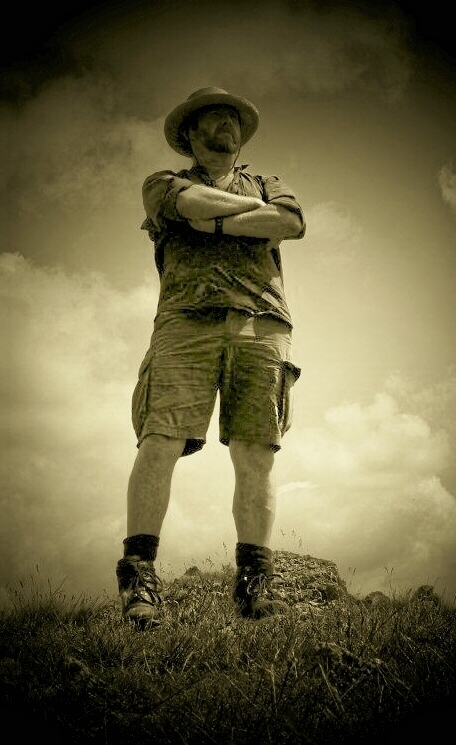 I also recall, a couple of years ago, stopping for a moment on a National Trust car park near Windermere to check a map and two bozos in another car took a photograph of my number plate, no doubt in preparation for the non-payment fine and public beating that would have come later if I hadn’t left pronto. 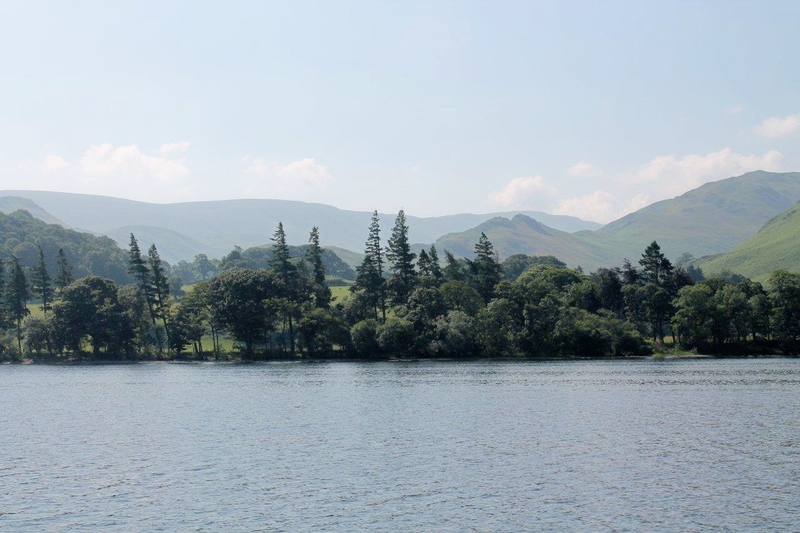 It’s a contradiction: the authorities want the visitors to come because tourism is the only viable industry left in the Lake District, but then they put people off by charging them over the odds for parking. Hi Chris. I like the valet idea. They could have carried my cheese sandwiches and held a brolly for me. I’ll look into that for future trips. Your experience in the National Trust car park has Orwellian overtones. That really is taking things a bit too far. I’ve rad people experiences on other blogs about huge prices charged for parking in places that used to be free. A campaign is needed, I think. This doesn’t happen in other countries and it shouldn’t happen here. Hear, hear on the b*** parking fees – completely ridiculous. They seem to be forgetting that National Parks are supposed to be a place where anyone can come for quiet enjoyment – not just the noisy ‘yuppie’ tourists they’re attracting with those fees! I’d definitely take the mobiles and other electronic toys off people on boat trips and walks – you’re supposed to be enjoying the outdoors and the scenery not playing with electronic gadgetry! I’m the same at concerts – it annoys me when people are watching the concert via their mobile phones (while they take pictures) – I go to enjoy the music and the spectacle – you miss all that if you’re trying to compose the best shot to go on ‘Facebook’ later! And what a great rant, Carol. I agree with your every word. It does a person good to have a good rant every now and then. Say, every couple of days perhaps. The yuppie tourist thing is so true. People who flock into places like Ambleside and Keswick because those places are sold like some sort of theme park centre and not places that are small, rural towns. 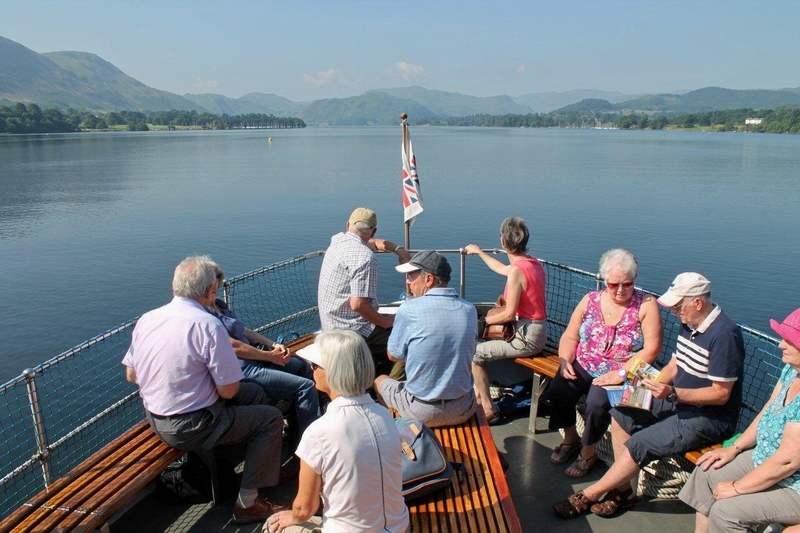 I forget the figures, but the Lakes had I think nine million tourists last year. That’s a lot of cars and buses in a place designated a national park. That’s national park – not national theme park. Now you’ve got me going again. I nearly used the picture of the boat’s wake as the top image. but there you go. That’s a really great quote which I’m going to remember and may use myself (if you don’t mind of course) – ‘That’s National Park – not national theme park’ – brilliant! 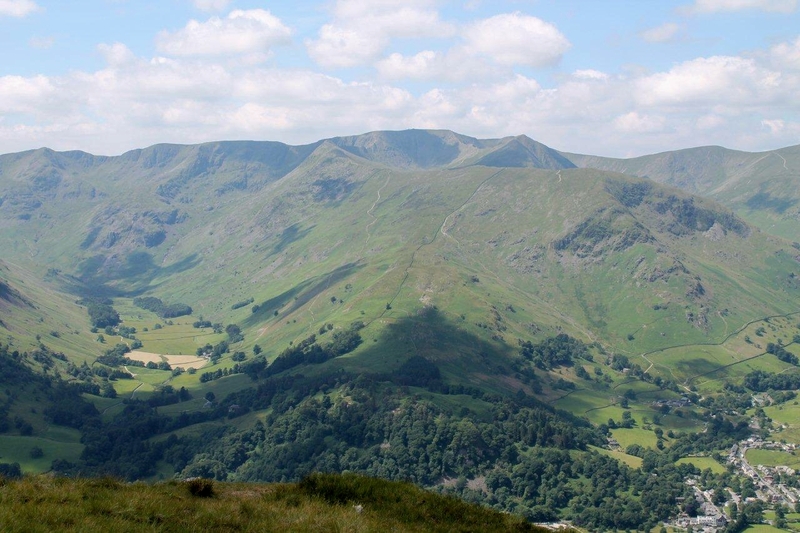 But I won’t visit Ambleside or Windermere and only really visit Langdale or Grasmere out of season and in the week. Those places really do seem to get the yuppie end of the spectrum. I often wonder what people like Arthur Ransome and Hugh Walpole would think of it if they came back now. The charm is still there in the quiet valleys and villages. But the ever-growing extravaganza that’s Hayes Garden World would have them scratching their heads if they passed through Ambleside. Yeh, I quite like that quote too. It just rolled off my fingers while I was eating my samwidge. Hi Alen. For a moment I thought you were in place in Andalusia with all that sunshine and burnt grass in the mountains. I think it was a wise decision to postpone the summit on Loadpot Hill, even with straw hat. Good idea incidentally! It is a very beautiful landscape, I will put it on my list of desirable hikes. Hej Hanna. Unfortunately, the extremely hot weather we’ve been having over here has passed and we are experiencing heavy showers and flash floods. Back to normal, you might say. The parched grass is gradually turning green again. But it’s still pretty warm. And the hat keeps the rain off. The access to monuments/landscape thing is a big issue. How about the current ticket price of £8 to not get anywhere near Stonehenge? Ah, you’ve hit on something there, Mrs P. I have a big problem getting my head round the Stonehenge thing. How can a 21st Century quango throw an exclusion zone around a monument that was built 3,500 years ago by a completely different race of people and charge the earth for access – bearing in mind the maintenance costs must be minimal. It’s robbery. And I’m sure you’ve got many years of happy walking in front of you yet. Do you remember – Stonehenge was even more disgraceful in the 80s and 90s, when there was a midsummer semi-militarized police cordon and checkpoints and anyone who didn’t look like a middle-class twit could be refused access to the roads running anywhere near Stonehenge, without any evidence of intention to trespass or commit any misdemeanour. And apart from the civil liberties thing, it must have cost millions. We lived in Wessex at the time and watching it used to make me fizz with rage! Yes, I remember that. We visited in the early 90s and the visitor centre was like a concrete bunker with a tunnel leading under the road. And add to that all the expense of public inquiries into rerouting the main road away from the site – tunnel, ditch, cut-and-cover, tunnel, ditch etc. Ah, the peace of the British countryside. If memory serves me right I don’t think you missed much by skirting Loadpot. I must admit i go out of my way to avoid paying for parking. But how much do people pay for a packet of fags or to go to a football match ? 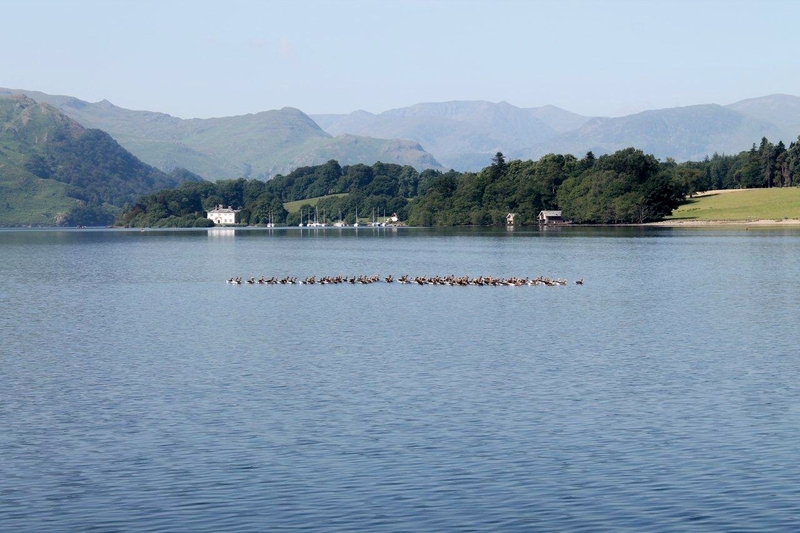 I think parking in the Lakes is much better value, even if you have to pay. Hi Greg. 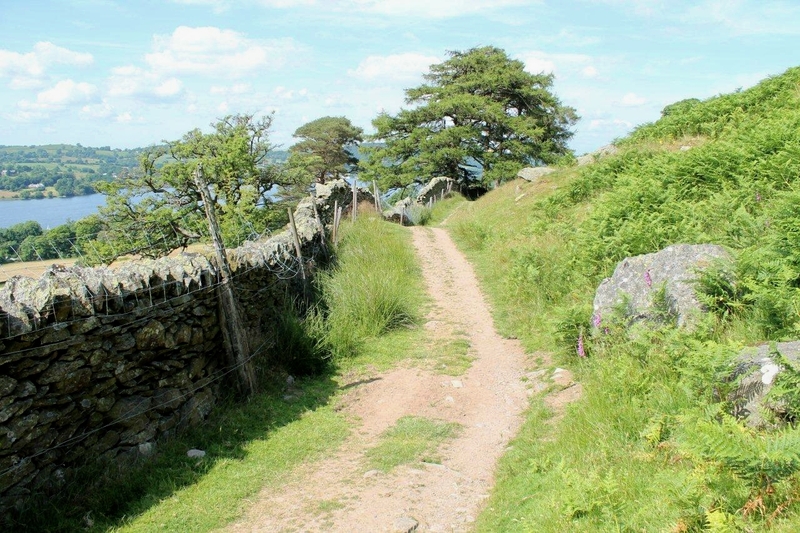 I’ve been up Loadpot Hill from the Penrith side, and you’re right, there’s not much up there – but it threw a spanner in my plan to complete a high-level route to Pooley Bridge. I haven’t bought a packet of fags since I was 18, but if the parking fee had included some form of entertainment or a fish supper and a pint of beer (or a pot of tea and a piece of cake), then £7 would have made it worthwhile. I might write to them with some suggestions. That’s a good idea. If you park in Booth’s car park in Keswick you get a voucher along with the ticket that can be redeemed in the shop. I think we’re onto something here, Greg. Glad to see you in the Lakes again & £7 lighter! I always try to get there early & grab those little known parking spaces, its bad enough the fuel keeps hiking up never mind having to pay over zealous parking fees that have you right where they want you…£4.70 for four hours or £7.00 above six hours, folk don’t drive for hours to park for less than four hours do they? I know I havnt. A great walk Alen, pity about Loadpot but I don’t blame you one bit for taking the low level route back to Pooley Bridge, again a cracking route, maybe even one I’ll give ago myself. Hi Paul. Yes, when you have a long drive to get there you’ve already contributed enough to the economy through fuel tax, never mind having to fork out more while your car stands still doing nothing. That’s a lose-lose situation. 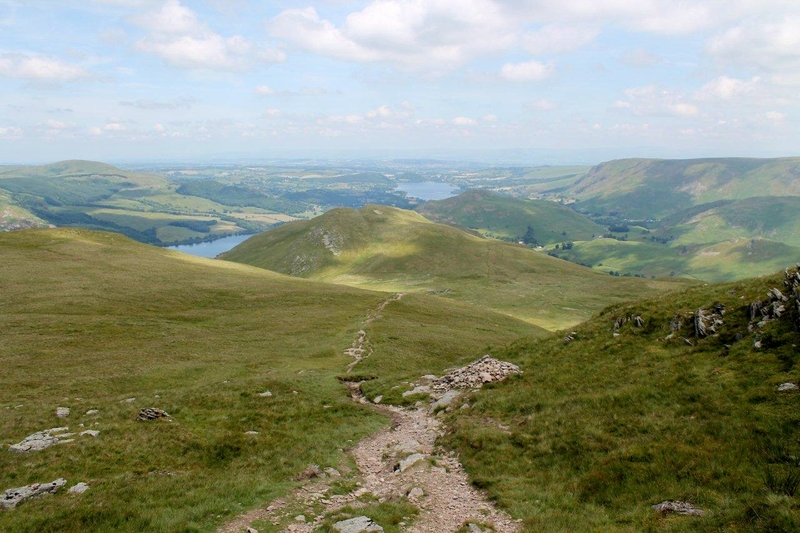 You must have a go at the route because one of the appealing things is that, so far as walking is concerned, it’s a lateral route, not a circular one, and you don’t get the chance to walk many of them when you have a car. 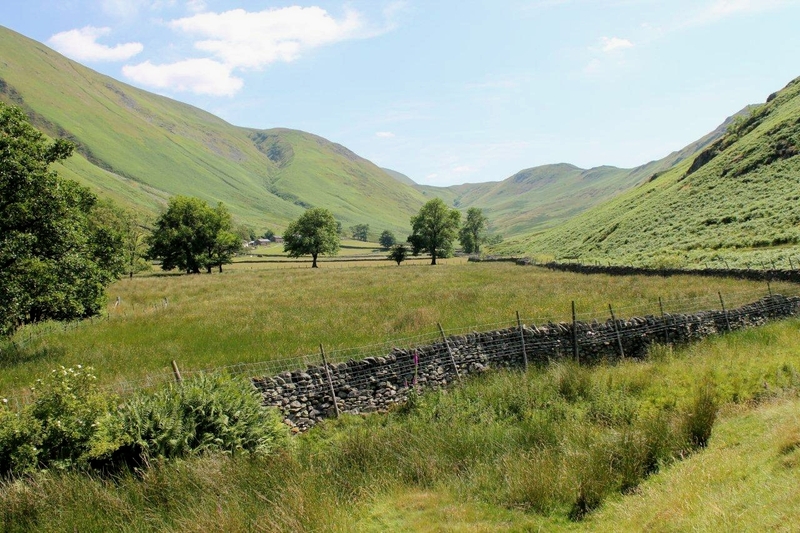 I also discovered a valley that’s new to me – Fusedale, which runs up from the jetty at Howtown. 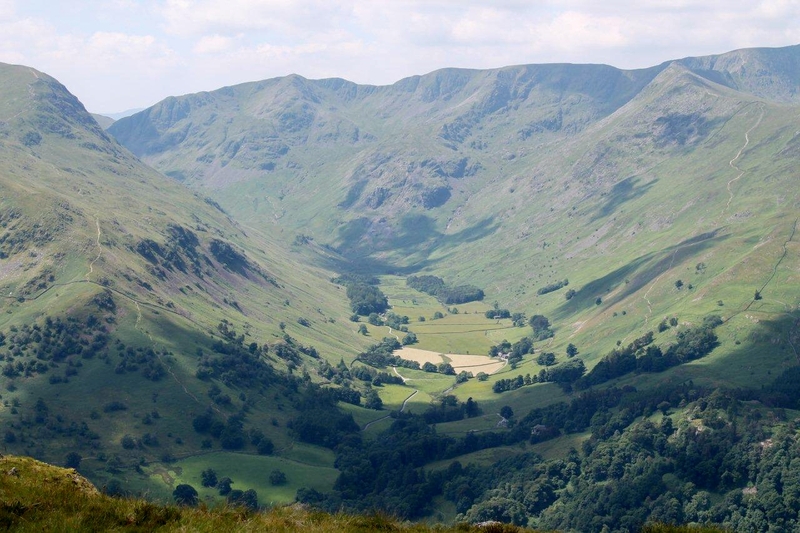 The picture that looks up a valley from ground level is Fusedale. 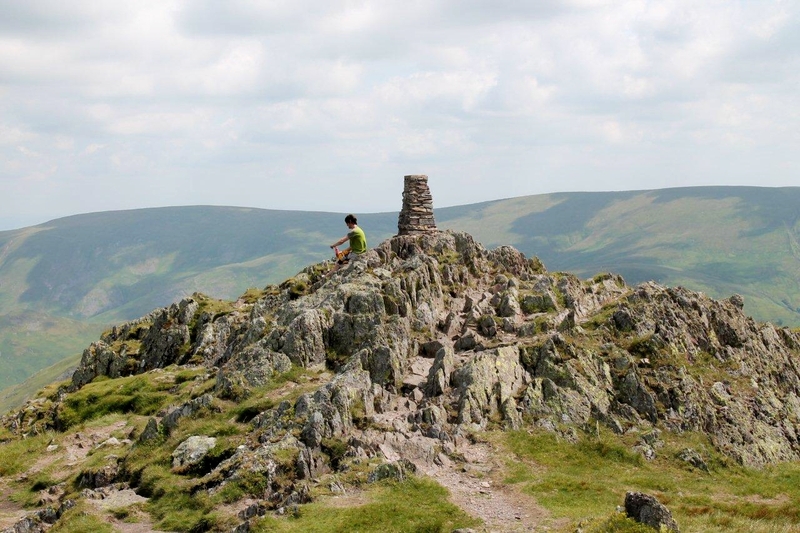 So I’m going to return soon and wander up there and come back across the fells. Who says there’s nothing new in the world? On the shelf above my desk I can see another Inland Voyage written by another adventurer who favoured battered straw hats. A bit sad that central heating seems to have sounded the death knell for naked Turkish wrestling..
Ah, OM. If only I was as adventurous as RLS. I might get myself a donkey and wander a bit further next time. Cheaper to park, as well. And gas central heating has a lot to answer for. They used to get up to all sorts to keep themselves warm in the old days. Hi Chris. I’ve never wild camped at Angle Tarn. I bet it’s an ideal location. That’s good value for money. That’s proper parking. I recall leaving my car at the farm at the end of the road that leads into Knoydart a few years ago. I think that was a fiver for three or four nights. I can’t remember exactly but it was a price worth paying for the peace of mind. Yes its a great location although I woudlnt think about returning until after the schools open again. The memsahib and I were lucky, apart from us, just two other couples spread around the tarn and a group of 4 youngsters who managed to keep the noise down once fatigue caught up with them! . Autumn-time is ideal for wild-camping in places like that. It’s time I dug the tent out. Edwardian elegance and wall-to-wall sunshine – two things I’ve not come across before (to my knowledge) in your blog! I fully agree with your feelings about the parking charges. That is an underhand way of making money from the ‘free pleasure’ of exploring the countryside. 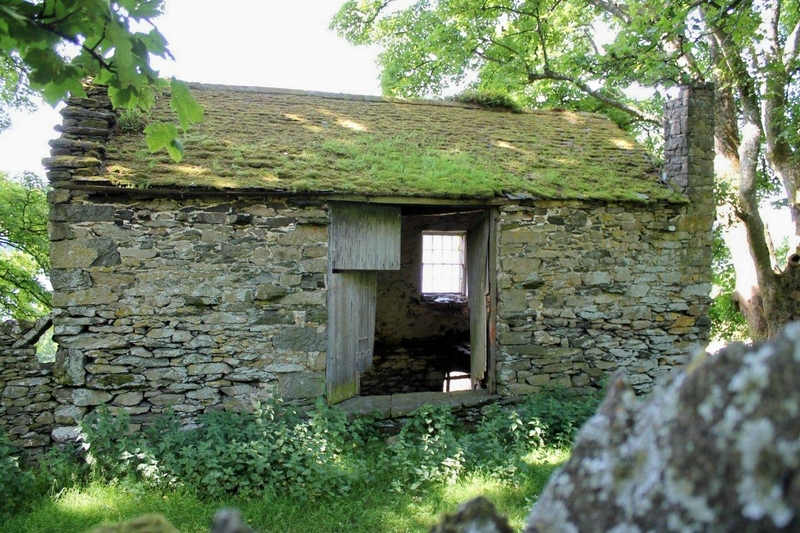 Amazing photos and descriptions – love the old bothy and the stone walls – we haven’t explored the Lakes very much so it’s great to see the landscapes. I always think hill walking on hot days is made even worse by the amount of water you have to lug around with you. Para-gliding looks a great alternative. PS: I recommend a spot of Downton Abbey to quench your Edwardian-style cravings! Yes, the sun shines on me every now and then, Jo. Not very often. I wouldn’t mind a crack at paragliding. 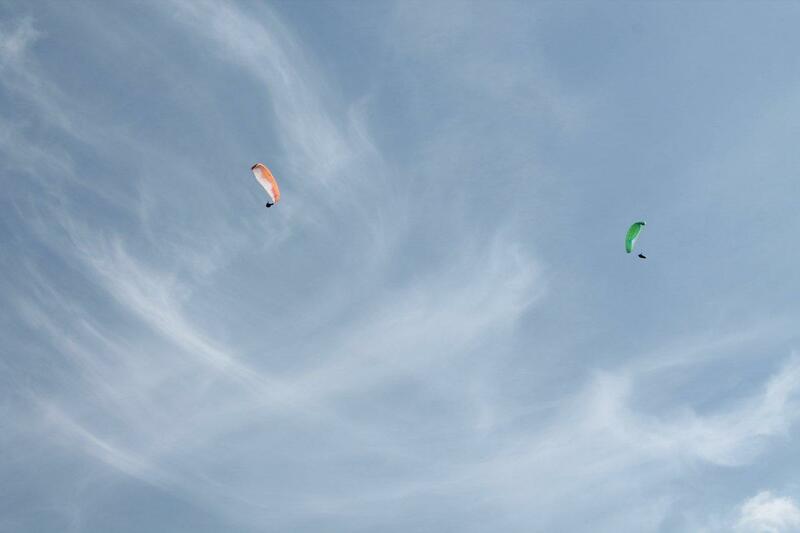 getting up there and soaring around in the pale blue sky is rather appealing. It’s the getting down again bit that puts me off. I’ll pass on the Downton Abbey suggestion, I think. Tried to comment on this but I think it may have been lost… won’t mess up your comments by repeating it, in case it’s stuck in spam! Great post, anyway! I found it floating in cyberspace like a little lost bird. Glad it was recovered! I hope your WordPress access is better now? Hi Jo. Yes, things seem to be getting back to normal. For some reason your comments are getting caught in my spam filter. Anyway, I can rescue them from there! I agree about the parking charge they seem prohibitive, and, if you are wanting to stay out overnight there is no facility to pay “in advance” even if the inclination was there. Beautiful walk though inthe sunshine. Hi Howellsey. Yes, you’re correct. The overnight parking scenario adds another dimension. Lots of people leave their car for a couple of days while they’re on the fells. The places to do this now are getting fewer and fewer. I was in Kettlewell yesterday. The day charge at the National Park Authority car park is 4 quid. However if you speak to the owner of the village garage he owns some land next to the camp site opposite. Its 2 quid al day, I didn’t ask if he allows people to leave their cars overnight but he seemed a reasonable bloke. Hi Chris. Two quid a day is reasonable and you don’t feel like you’re being taken advantage of. It’s £2 in the parish council’s honesty box at Mungrisedale as well. At least that £2 is going towards the upkeep of a village so you know it’s doing some good. Parking charges Grrrrr. Certainly from my point of view the National Trust, National Park et al, are harming local business income. I either avoid parking in such places altogether now, or where I have no choice but to pay up it means there is nothing left to spend in the local pub, shops, tea rooms etc. It’s a shame because I used to enjoy a wander around the shops and a pint or something to eat. It also put something into the local economy. Now it’s a treat rather than a regular occurrence. 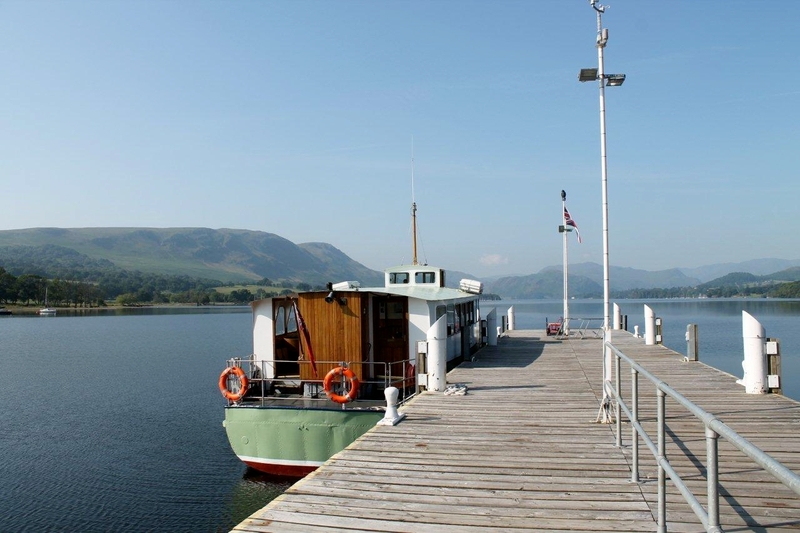 On a much happier note, Ullswater and the steamer always remind me of my childhood. We used to spend most of the summer holidays camping at Waterside Farm. 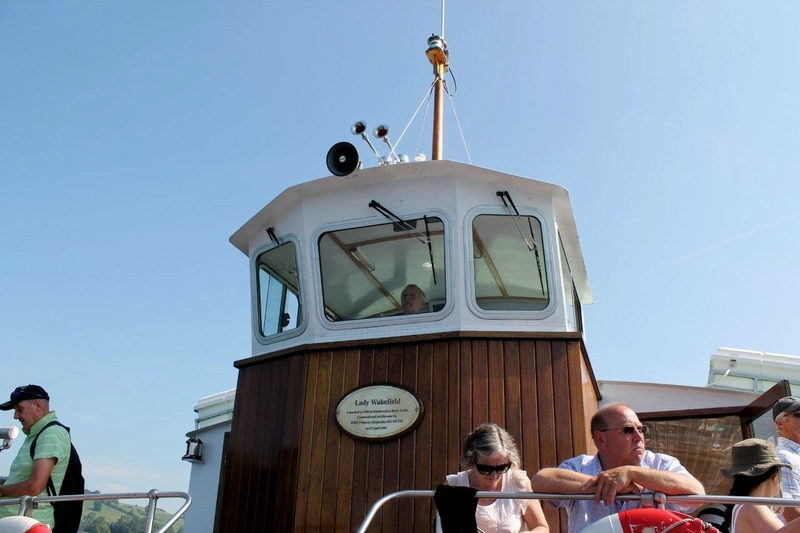 We spent many happy hours sailing on the lake and getting close to the steamer so we could wave to the passengers and race through the wake it made. 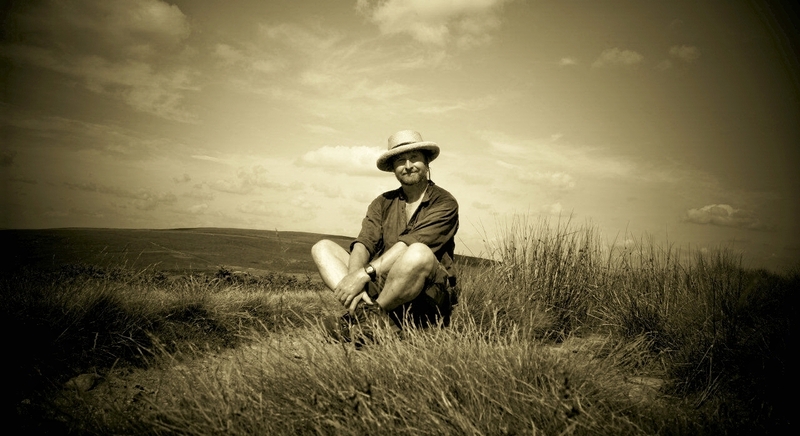 Your sepia shots and the straw hat do give you something of an Edwardian dash. See, that’s another thing. Over-the-top parking charges damage the local economy. Thank you for that, David. So far we haven’t had anyone in favour of them. I did think, when I posted this, that somebody might put up an argument along the lines of the national park and the National Trust doing good work and needing the money, but I think more and more they are squeezing people who can’t afford to be squeezed and spending the money on stuff like visitor centres with inter-acting exhibits and “experiences” that nobody really wants. Waterside Farm, hey? I’ve never camped there myself. 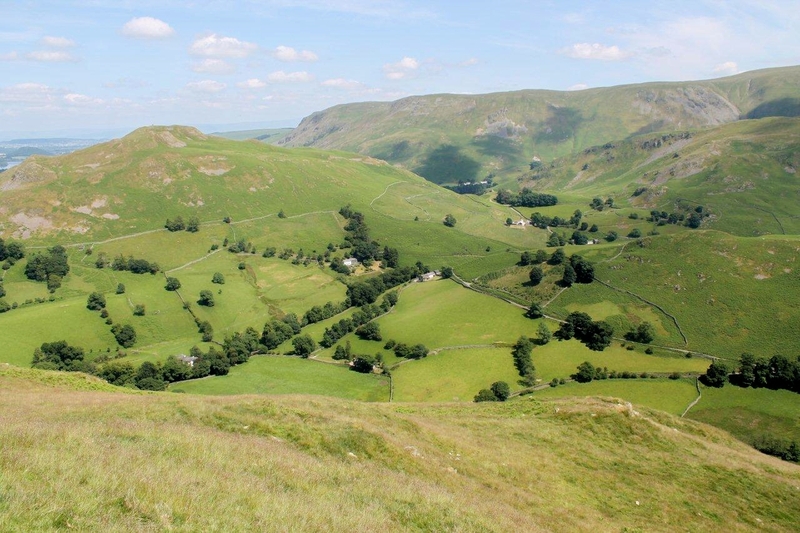 Gillside Farm at Glenridding was always my base, whether with mates, family or by myself. Mainly because it was within staggering distance of the Travellers Rest. The good old days. 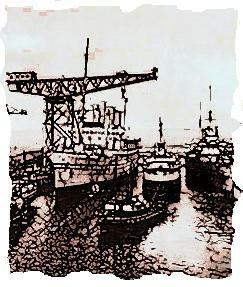 And thank you for your kind comments about the sepia photographs. Dashing. Yehhhh.